Pay Less for SEO and Die! VILLA PARK, Calif. – Are you a price-shopper? Contacting many SEO companies to find who’s charging less “for the same thing” and signing up with them? How many times in the past few years have you done that? And you’re still following the same old habit? Cheap SEO equals DEATH. Not your death of course, but the death of your marketing campaign while your competition dominates Google search results. Before reading the article, please note that Google is the KING of online marketing. And if you are not ranked organically on Google – very high on the first page – you’re losing most of the online business to your competition. That’s why I only focus on Google SEO. Let me explain why you’re not going to find a top-quality SEO company at the cheapest price. Reason #1: Google SEO is HARD. Google SEO has three elements: Content development, optimization and building popularity. Each of these sections is extremely delicate and difficult to master. It will take an average SEO expert a minimum of five years to understand these aspects of SEO and master them. Reason #2: Google SEO is HARD. That’s not a typo. Here, I’m talking about the implementation of SEO. A typical SEO campaign requires 40+ hours of professional work each month. Writing extensively and professionally for your site is the cornerstone of ranking high on Google. Your SEO company needs to research, write, edit, optimize and post at least one high-quality article per week to your website. If you have ever tried this you realize how difficult it is. The least difficult part of SEO is optimization of your site. Because it gets done once – with minor tweaks later on. But it really isn’t easy. SEO engineers need to understand how Google algorithm works. Slight over-optimization of a site could result in Google penalty slap. Many have suffered from Google’s repeated algorithm updates – but our clients don’t. Why? Because we don’t try to make them popular using easy and cheap methods. We know the cheap methods well: buying links, submitting sites to directories, syndicating your articles, reciprocal link-building, etc. We have to make clients popular naturally. How do we do it? That requires another article. It’s easy and cheap to get your site ranked on Google search using black-hat SEO methods. I have personally tried it and it works. However, Google will catch up with you sooner or later and you lose your site’s rankings altogether. In that case you have to start fresh. Fresh domain, fresh content and fresh SEO campaign. So, in today’s fast-moving business pace, where your competition is looking for the slightest set-back in your marketing campaign to take over, BLACK-HAT = DEATH. Google SEO rules change – and sometimes not for the better. There are two theories why. The conspiracy theory believes that Google wants to increase its revenue which comes mostly from the pay-per-click ads (Adwords) by reducing the rankings of those who are at the very top of Google organic search. Because when they lose their ranks, they’re most likely to pay for Adwords. I don’t necessarily believe in that, but I know for sure that the SEO blue-print Google provides today may be different next year. This makes the job of any SEO expert extremely difficult. The reason is that we need to stay ahead of the game by at least one to two years. The good news is that Google is now a slow-moving giant when it comes to changing directions and implementing algorithm updates. When they announce a change (like Matt Cutts explaining intent-reading algorithm updates) it takes them one to two years to really implement the change. Of course, one has to listen to Google very carefully and read between the lines to understand how that will affect the next few algorithm updates. 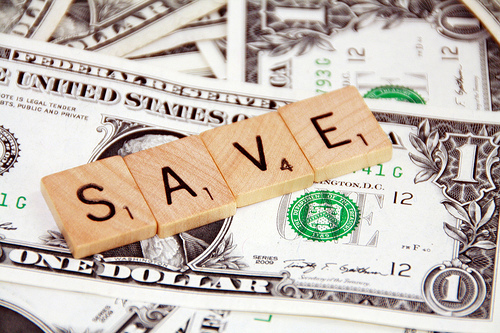 Looking at the monthly or yearly cost of SEO by itself is the wrong way to look at the campaign. You have to look at the ROI generated by your SEO campaign and compare it to your other marketing campaigns. Note: If you are not tracking your business ROI from different marketing campaigns then start today. With the new technologies available, this is not a difficult task. Let’s say you invest $8K per month for SEO with company X. In a one year time-frame they are able to generate $1M revenue. Their cost has been roughly 10 percent of your income. Your ROI: 1,000 percent. You may pay half of that to company Y and only see a $200K increase in income. In this case, your ROI is 500 percent. Would you go with company X or Y? We are one of the most expensive SEO companies I know of, yet, we bring about double the ROI of any other marketing campaign I’ve seen. Here is a chart of the site usage analytics from www.associatesinplasticsurgery.com (from September 2013). 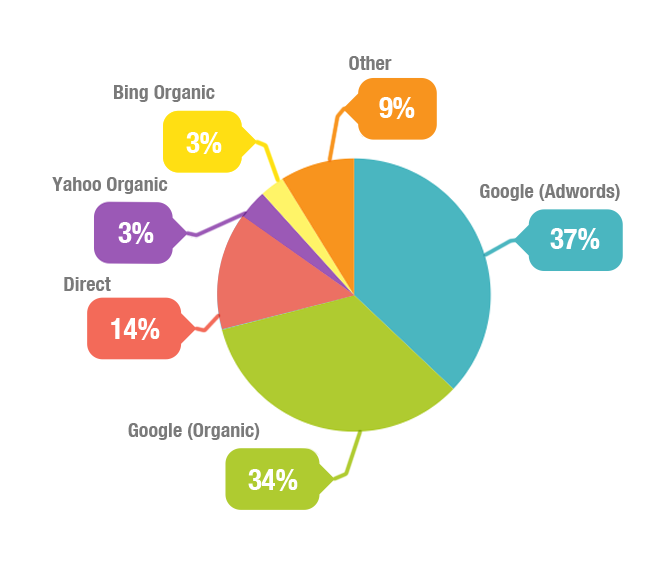 The partners are heavily investing in both SEO and Adwords (roughly the same amount). They rank at the very top in both campaigns. However, they get about half of their site’s traffic from SEO (combining Google, Yahoo! and Bing) and only 23 percent from their Adwords campaign. Getting a site ranked at the top of Google for their very competitive and short-tail keywords is a daunting task. It requires expertise, dedication, hard-work and patience. You may save a few hundreds or thousands of dollars by hiring the less expensive SEO company, however, you should know that the long-term consequences of paying less are dire. Don’t kill your online marketing campaign. Spend the time and research many SEO companies to find the best one. And the next time you think cheap, imagine a tombstone with “Here Lies Your Online Visibility” written on it. Good article! The fact is business owners pretend they don\’t understand this or perhaps they really don\’t know. This is the same theory if you develop a building with a very low budget, at the end you got all cheap materials. In Chinese we called it a \”Beancurd Project\” because the building collapses at the end. Simply put, if an SEO consultant charges you $500, the most they spending is $200 for their effort and make a profit of $300. This is quite understandable, all businesses need to be profitable. So what can you do for just $200 a month? Buy cheap private networks or blogs links for $1 per link and send you 200 links to your site. That is most how cheap SEO provider do it! Let\’s wake up everyone!